Remember When Chumbawamba Worked With the Sisters of Perpetual Indulgence? 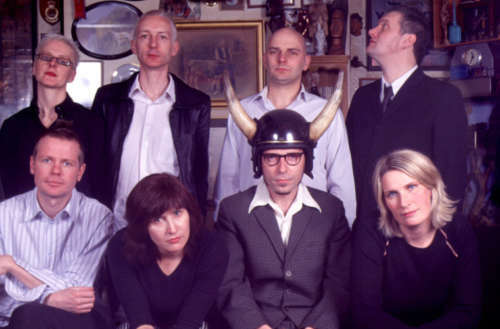 Chumbawamba are one of the stranger one-hit-wonders out there. We’d lay money that the only Chumbawamba song you know is the frat-boy drinking anthem “Tubthumping.” (You know, “He drinks a whiskey drink, he drinks a vodka drink.”) But despite what you might think of that song, they had a long career of music and activism. They even recorded a single, “Homophobia” with the Sisters of Perpetual Indulgence. “Homophobia” first appeared on their Anarchy album. (That album is known for its controversial cover, showing a close-up shot of a baby being born.) The version on that album is a mostly acapella version sung to a drone and a drum beat. It’s a bit of a dirge, befitting the lyrics, telling the story of a gay bashing. However, it was the single version of “Homophobia” that was a hit. That was the version that featured the Sisters of Perpetual Indulgence on backing vocals, and was a much poppier, dancier version. While the lyrics are much the same — there is a tweak to the chorus which makes it a little bit happier. Though the song didn’t appear on the charts in the United States, it was a minor hit in the U.K., reaching number 76 on the singles chart. The EP included a few other tracks. “Morality Play in Three Parts” is a sneering spoken word piece backed to a jazzy number. If you get the first version of the EP, you also get the live acapella version of “Homophobia” and “Song For Derek Jarman” — which ends with a clip of Jarman himself praising the Sisters. Version two includes “Morality Play”, but swaps out the other two for “Enough Is Enough,” a pop song with the chorus “Enough is enough is enough/Give the fascist man a gunshot,” and “The Day the Nazi Died,” a rousing acapella number about the death of Rudolf Hess. As you might guess from the second EP’s tracklisting, Chumbawamba were a deeply political band. They formed in 1982 as an anarchist collective, part of the same punk scene that birthed bands like Crass. However, they had better musical chops than most of those bands, and grew bored with the punk aesthetic. Their sound evolved to include horns, synthesizers and more. They never stopped evolving, either. By the time they broke up in 2012, they’d become a folk-pop band. Truthfully, Chumbawamba deserved more than they got. They were a fiercely political band that married agitprop with some of the hookiest pop you’ll ever hear. That said, they were upfront about their political beliefs, which could sometimes get controversial — one song even asks “Sirhan Sirhan, where have you gone?” referring to the man who killed Robert F. Kennedy. With lyrics like that, it’s not surprising they didn’t make it huge. But most of their discography is still available via iTunes, Bandcamp and the rest, and you could do worse than investigating. At the very least, you’ll get a whole bunch of catchy, catchy songs stuck in your head. 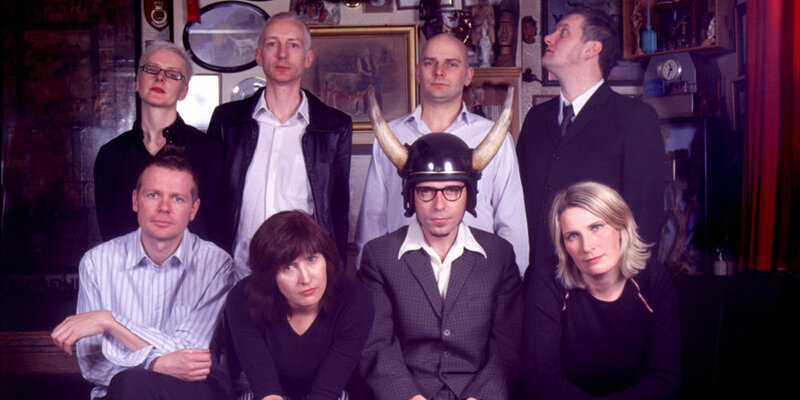 Featured image courtesy of Chumbawamba.